Developments in technologies such as artificial intelligence, robotics, quantum computing and energy storage hold the potential to improve lives and livelihoods for many people. But this “Fourth Industrial Revolution“ (or 4IR) could also exacerbate existing inequalities. Emily Hayter and Jon Harle reflect on a new paper about the implications of the 4IR for governance and what this might mean for higher education institutions and policymakers. We recently welcomed Arnaldo Pellini to INASP’s office to discuss a new paper, developed with colleagues including Politics & Ideas and the Southern Voice network of think tanks, which tries to unpack the implications of the 4IR for systems of knowledge and governance. The paper talks about how the changes wrought by the 4IR will impact societies and economies at a pace and scale that is hard to fathom, but will create significant challenges for governments in their policy responses and structures; for education systems and how they evolve; and for the ways that countries manage the production and use of knowledge. 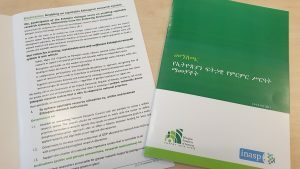 The paper sets out to pose questions, rather than provide answers and we have reflected on some issues that we think could be included or explored further in subsequent discussions. It is important to recognize that the concept of 4IR has often been driven by powerful Global North actors, which can have an impact on the language and priorities of the discussions. However, many of the issues arising from the 4IR are already recognized in development policy – globally in the UN system, but, perhaps more importantly in this discussion, in low- and middle-income countries themselves. 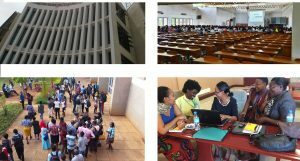 For example, at the regional level the African Union’s Agenda 2063, created in 2013, aims to nurture “well educated and skilled citizens, underpinned by science, technology and innovation for a knowledge society”. 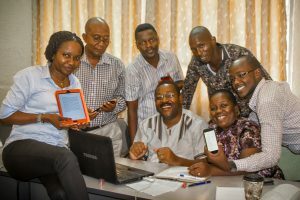 Similarly, the chair of Tanzania’s Commission for Science and Technology (COSTECH) introduces the national research agenda noting that as humanity “stands at the threshold of the 4th Industrial Revolution…the challenge is for Tanzania and Africa to avoid the risk of falling into the pitfalls of blindly copying technology and industrial practices”. So if these are not new agendas, where do the authors see the specific gaps in existing policy responses? What can we learn from these existing Southern responses, particularly within the growing area of science, technology and innovation (STI) policy, and which ones seem to offer most potential to address the challenges posed by the 4IR? The paper notes that knowledge systems will need to change, as technologies enable knowledge to be demanded, produced and used in new ways. Conversely, technologies will need to adapt to the particular needs and contexts of countries, and even sub-regions within countries. But while this is clear, the potential of national actors to shape those systems is less clear. While research and education may be directed by national ministries and research councils, research agendas and practices are often significantly shaped by international funders, by the practices and norms of international systems of science and publishing, and by the grants and authority of researchers and managers from universities and institutions in wealthier countries. If the individuals and organizations shaping these knowledge systems are to respond to these shifts, they will need the space and freedom to do so – and the confidence to incorporate what is valuable from the North while rejecting what is not, to benefit from their connections to international networks, but not be constrained by them. Knowledge systems will be in a stronger position to do this if they are inclusive, and do not privilege men’s voices over women’s, or those from particular regions or communities, for example. These are significant challenges, which recent dialogue events co-convened with national research agencies in Uganda, Ethiopia, Bangladesh and Tanzania have been exploring. 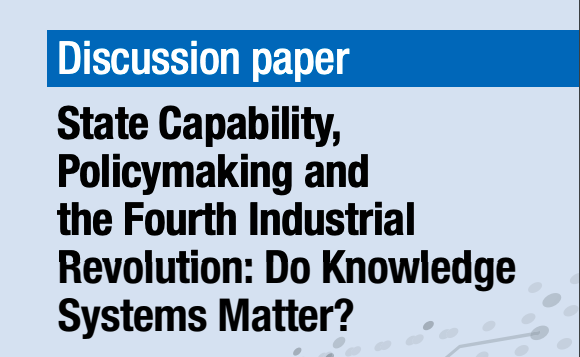 The paper suggests that higher education institutions will need to play an important role as knowledge systems change and adapt. In particular, they will need to foster critical thinking, problem-solving and collaboration skills in their students – and the ability and attitudes to keep on learning once they graduate. These are familiar arguments. The importance of higher education – and the challenge of reform – are widely recognized. The key question is how. 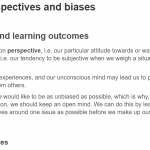 What enables – or disables – our education systems from responding to the critical thinking challenge? The roots are much earlier in the education system, in primary and secondary school, which in many countries are about schooling, not learning. A knowledge system framework that looks only at the higher level only sees the tip of an iceberg. Beyond basic education, technical and vocational education must also play a role. So to consider the impact on knowledge systems, we also need to think about education systems more broadly. At the higher education level, change is certainly hard – but it is possible, and it is worth focusing more on the positive examples, where progress is being made. What is working, and what lessons might that have? Our own work as part of the Transforming Employability for Social Change in East Africa project suggests that starting small – courses rather than whole degree programmes – has significant promise, and that it is possible to bring businesses and communities into the learning process in new ways, going beyond consultation to involving them more deeply in identifying needs and developing curricula, and developing new opportunities for learning beyond the classroom. The authors assert that citizens can shape how the 4IR will affect societies and economies: “We as citizens, users, consumers and humans have the opportunity to determine how the transformation will affect our societies and economies”. It is an appealing call to action. However, while it is commonly observed that new digital tools have the potential to bring people closer to decision makers, today’s citizens often have limited control over how technology impacts their lives, how data is collected about them and how it is used. In order for citizens to truly be able to determine how the 4IR affects us, we will need not only increased transparency (as the paper suggests), but also more accountable governance systems around the world. 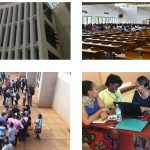 There is a long history of thinking on citizen participation in development, and many actors in Southern knowledge systems are working to enhance the systematic consideration of ‘citizen evidence’ in decision making. It would be useful to see more examples illustrating the degrees to which citizens in LMICs are able to control how technology affects their lives. Finally, there is a thread that connects all our comments above, but is not highlighted in the paper: young people. They are increasingly recognized as part of the development process, especially in many low- and middle-income countries where their fast-growing numbers constitute both a development challenge and an opportunity. In order to reap the benefits of the ‘demographic dividend’, youth need to be seen not just as beneficiaries of education or users of technology, but as architects of policy responses and leaders within society. They have an important role to play in guiding the development of technologies and of regulatory systems, and of producing the knowledge that the worlds of policy, business and practice need – as well as their communities. The Youth Think Tank is a good example of this kind of innovation in knowledge systems thinking: breaking down the barriers and supporting and enabling young people to be the researchers and knowledge producers. How can young people be involved in the next round of discussions on the paper? The pace and volume of change brought about by the 4IR creates opportunities, but also uncertainty, complexity, and ambiguity in the decision-making environment. As the paper’s authors note, the 4IR raises questions of culture and values as much as of technology. For organizations like INASP, which work to support Southern knowledge systems, we must be clear and explicit about our values as we navigate this landscape, as we make decisions about our work, and as we engage with partners. As the authors have demonstrated in their approach to producing and sharing this paper, a collaborative, inclusive and curious spirit is needed to find ways of working together across these systems. We look forward to following this discussion through its next iterations.